As the field concerned with society’s organized efforts to improve health at a population level, public health relies on myriad partnerships to achieve their goals – with healthcare providers, with the public, and with many other sectors such as schools, non-profits, and legislators. One of the biggest challenges in forging these partnerships? Helping people understand exactly what public health is and isn’t. As an early-career public health practitioner, I’ve had the great fortune of learning very early on that partnerships are critical to the success of public health initiatives. I’ve also learned that while many members of our workforce come through training for the acute healthcare system (one thinks not only of physicians, but public health nurses, research methodologists, analysts, epidemiologists and statisticians among others), our business is very different from that of healthcare and the extent of our partnerships carefully circumscribed to a large extent. Beyond our connections to healthcare, I have also witnessed the importance of partnerships with other sectors beyond hospitals and clinics that truly drive health at a macro level – such as working with planning and transport departments on building healthy, complete communities, or with legislators in enacting laws that change context, such as successes with smoking bans, or targeting childhood obesity through healthy eating in schools. In all cases, the overarching health of the public is our primary focus and the context of our community our ultimate tapestry. This need to partner means that encountering someone outside our field makes it refreshing and easy to start a conversation. Too often, though, public health experiences various challenges in sharing our goals and why we do what we do – mostly due to perceptions that sometimes seem pervasive. This commentary explores, from anecdotal but frequent experiences, some of the key perceptions encountered when working with healthcare partners and non-healthcare partners or the general public. Public health as catch-all / safety net: Perhaps reflecting the subspecialized nature of healthcare fields, some providers often think of public health as a potential venue for issues they have identified that don’t seem to have an immediate “owner”. At planning tables, I’m often asked if it’s public health’s responsibility to raise awareness around medical assistance in dying, or to assist with smoother transitions of care between community settings and the hospital, issues that are more appropriately and already adeptly handled by palliative care and healthcare administration colleagues respectively. Public health as “anything that isn’t clinical”: Another common heuristic among clinicians is that anything that isn’t clinical is public health practice. I often hear stories, excitedly recounted, about how folks are “getting more into public health” as a result of crunching data from their clinical trials, teaching medical students, or sitting on a hospital committee. The most common example is the confusion between healthcare administration and public health, the former of which involves the organization of the healthcare system to improve system outcomes; the latter which involves working with partners to organize society to improve health. Public health as “advocacy, and it’s easy… anyone can do it”: The other tack is that public health’s vast mandate to address issues that impact on community health means that its name is famously co-opted by advocates to describe their work on a specific issue of importance to public health. While certainly making important contributions, too often clinician advocates ascribe a certain ease to balancing “public health” and their clinical career owing to their various pet projects. This viewpoint occasionally presents a difficult starting point for a partnership, especially if contexts limit just how far the public health practitioners can push towards the ideal vision put forward by the single-issue clinician advocate. Public health as “just another provider”: Still other clinicians assume that because public health provides some services (healthy sexuality clinics, breastfeeding supports, immunization clinics) that public health is simply another service provider. This challenges public health to work to broaden their perspective, helping them understand that the services they are familiar with are one part of the overall strategies being deployed to tackle community health issues. Public health as “this is an important issue”: Finally, one of the most commonly used misperceptions around “public health” is using the name as an adjective to draw attention to an issue. One good example is human trafficking, which is being touted by some as a public health issue. An alternative take: human trafficking certainly leads to individual myriad health issues for those involved, which presents burdens on the healthcare system, and is largely driven by illegal activities and societal inequities. This means that the considerations to address the phenomenon actually lie outside of public health’s scope and expertise. It’s a serious issue to be sure, but calling it a “public health” issue links it to a field that lacks the levers, expertise, and resources to effectively address the factors driving this phenomenon. Blissfully unaware: For the most part, if public health is doing its job right, most people don’t even recognize or know that it’s public health. This has led to various campaigns such as This is Public Health, which aim to highlight how every day, common sense interventions in our communities have actually made a difference in the health of populations. Public health is healthcare: The average person who has some inkling around the field often links public health to its larger, better resourced healthcare partner. The presumption is that since there are doctors and nurses involved, there must be some sort of clinical care that is happening – and that must form the bulk of public health’s work. Meddlers / health “nannies”: In some cases, familiarity breeds contempt. While many partners have positive views on learning about public health’s goals and modus operandi in promoting, protect, and optimize the health of the population—typically apart from the healthcare system—still others see the work of public health as treading outside of its scope. This is seen in resistance where public health advocates for better transit or cycle trails despite not being urban planners, or where calls to address poverty or improve social services are just another example of big government types meddling with free society. In an era of healthcare cost containment, climate change and environmental health threats, greater polarization in society, rising chronic disease, emerging infectious diseases, among others, the role of public health in preventing disease and keeping people healthy and protected is even more important. Effective public health practice holds some promise towards relieving the burden on our healthcare system partners and to improving overall societal, economic, and community outcomes. This is what makes managing various perceptions of public health so crucially important to our work as practitioners. While there are few other fields that can compare for the number of ways its members are misunderstood—perhaps insurance and financial planners come to mind—public health practitioners must learn what they can that is relevant from their parallel challenges while figuring out how best to navigate our own unique challenges in perception. A growing interest in public health and prevention among students, young professionals, and partner agencies also represents a first step to having those conversations to really share who we are and what we hope to accomplish together. *Dr. Lawrence C. Loh is Adjunct Professor, Dalla Lana School of Public Health, University of Toronto. 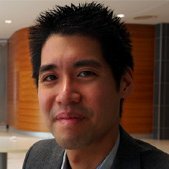 The views expressed in this piece are his alone and do not necessarily represent the views of the University of Toronto or any other organizations that Dr. Loh might be affiliated with.